Music by Satie, Debussy, Ravel, as well as a rare showing and piano performance of the surrealist short film Entr’acte (1924) by director René Clair—the very first film with a dedicated score (by Erik Satie). Appeler un objet est de supprimer le plaisir, le rêve est de le suggérer. Audiences simply cannot believe that I have not made up the script. I have not! One cannot improve upon Monsieur Satie and anyone who dares must leave the hall! This most idiosyncratic of French artists will not be improved upon. One who eats only white foods, creates his own church with a thousand functionaries (Satie being the sole congregant), who rises at 7:18 a.m., is inspired from 10:13 to 11:47 a.m. and retires at exactly 10:37, who writes his own reviews (who else? )—an artist this impressive cannot be bettered. And yet one must look through the poseur to the serious man, the man who first gives permission to French composers to not follow Teutonic orders, to write music sans sauerkraut. 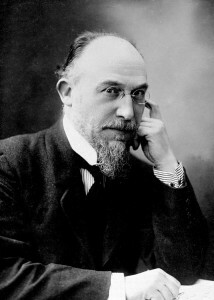 From the seeds of impressionistic thought through the Dadaist movement, Erik Satie knew all the important French artists in music, visual arts, dance and theater. He was precusor to Debussy and Ravel, and in his dismissal of Germanic hegemony, they found their own voice. 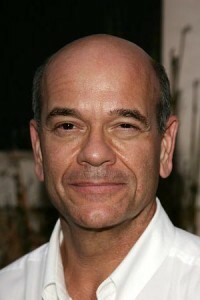 The work was first performed by John McDonough and subsequently has found a brilliant advocate in Robert Picardo. Perhaps it takes the Hologram Doctor from Star Trek: Voyager to find a kindred spirit.